And then I am watching the match. The football match. Obviously. And the stress of seeing my team win or lose is killing me, stress ulcers are popping away in my stomach and don’t even get started on the pimples of my face. I swear, adolescents should have a special cream to deal with the extra hormone release during the world cup – eye candy and stress levels increase dramatically. You think I am joking? You should know me by now! I am in a ratty bathrobe, eating curry on the couch watching friends. I spill curry on my bathrobe. Staining. Major saffron staining. And then my nose starts running from the chilli, and I am just using my hands all over the place, one blowing my nose, the other cleaning my bathrobe, the other trying not to drop the curry. You think I have 2 hands? Hahahahaha… not at that moment. I was going all Indian god on you and had hands coming out of all directions! I decide to put the marshmallow in the middle, you know, for a ‘cute little gooey surprise’. Um… perhaps I am feeling a little off… but I do believe I forgot that marshmallows EXPAND during baking? Thats why you bake the cupcakes, sprinkle them on top 2 minutes from finishing time? Oh. My. God. I am just lucky they deflated and became s’more-like, because as I watched them bake, they expanded and grew, and grew, AND GREW in the oven. Anyway, cupcakes done. I ate one for good measure (edibility test and all you know! 😉 ) – What do you know, the little ray of sunshine – they tasted AMAZEBALLS! 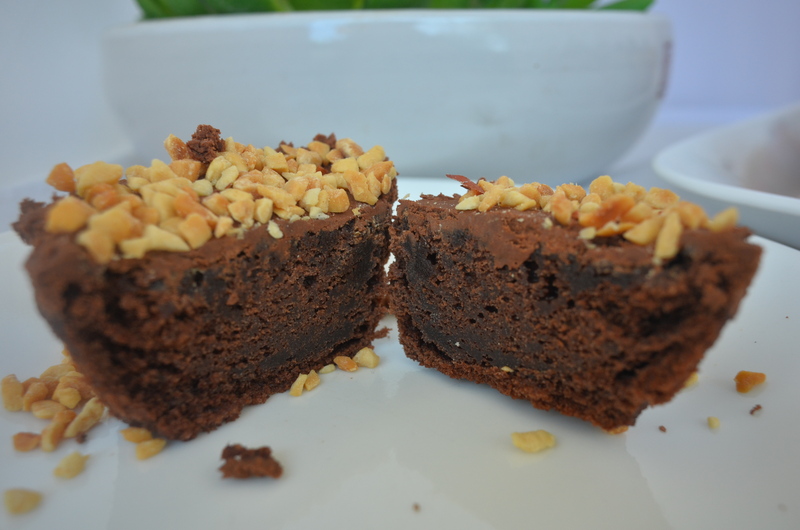 Maybe because I have already used this chocolate mud cake recipe, but in mini form, they were super moist and utterly delectable! Ok, so life was looking up again right? Hmm.. not really. I start on the whipped ganache frosting I am planning to make, feeling hella awesome. I whip, and I lick the spoon and I am so ready. I whip open my cupboard, rummaging around for my disposable piping bags. So then I get a little angry. And of course, for the first time ever, over-whip my frosting. Because you can over-whip which has heavy cream as its base. Although I learn something later on (just see the recipe), as of that moment, I want to cry. Instead, I pluck up my remaining gumption, whip out a knife and begin Nutella-spreading the frosting all over the slightly marshmallow-deformed cupcakes. I guess THAT day wasn’t the worst in hindsight. After all, who would feel down after eating this sugary goodness of a cupcake no? 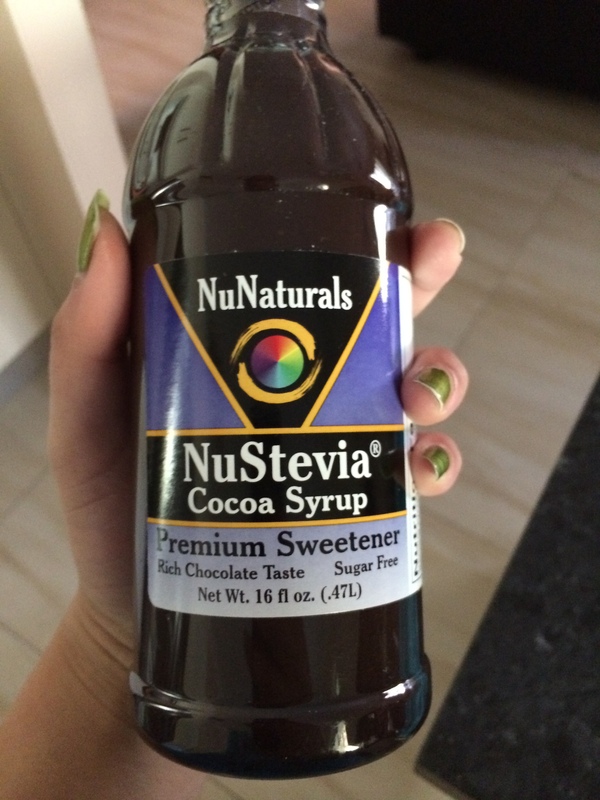 It also featured the relatively new NuNaturals product, Cocoa Syrup, which really added to the overall chocolatey fudginess when combined with melted chocolate AND cocoa powder! These look so dense and delicious! And isn’t chocolate the perfect answer to a tough day! Looks and sounds amazing! Love reading your post! What a doozy of a day. I think you were on the right track with the cupcakes. These look uber chocolatey and delicious. I am guessing you didn’t swtich the alarm off the night before…..the curry incident cracked me up. Lovely cupcakes…….I know all about over whipping, lol! Glad the cupcakes worked out! These would more than make up for any bad day for me! I’m sure these gorgeous cupcakes made up for your day!! I really love how fluffy your ganache looks after whipping them up! Gonna save this recipe! I forgot how much I like rocky road until I saw this post! 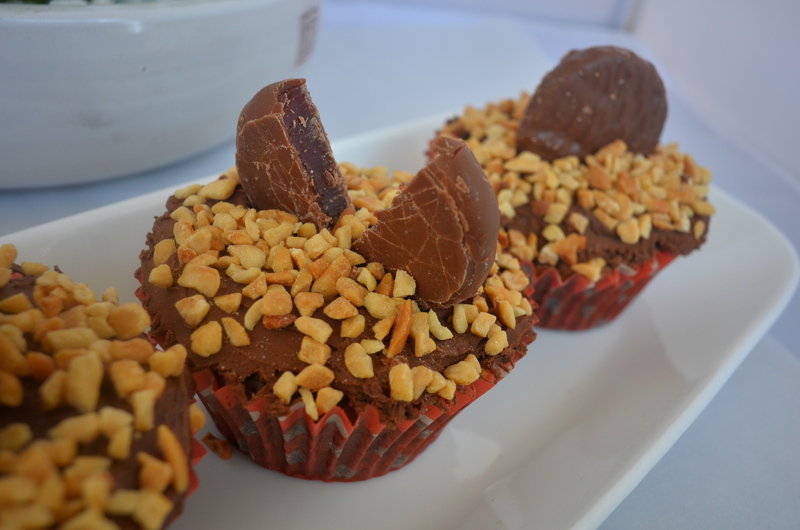 I would like one (or three) rocky road cupcakes now, please. Even even though you had a bad day, you got to eat these amazing cupcakes to sooth your jangled nerves, and watch those hottie soccer players! 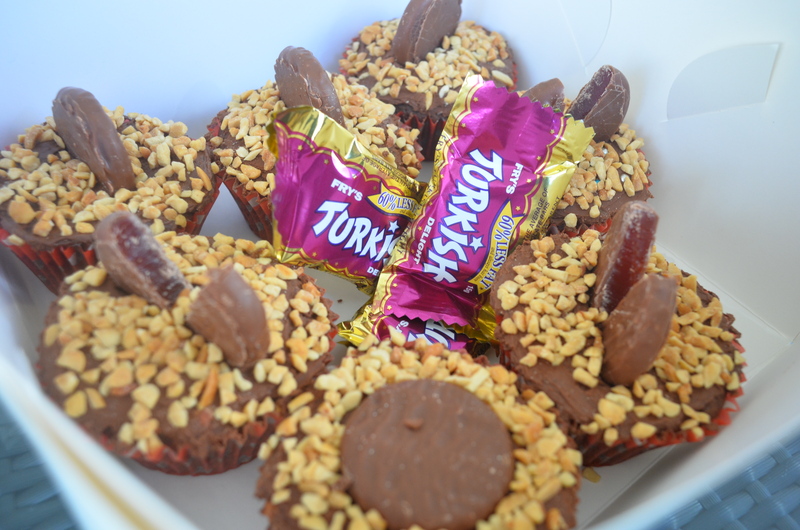 And these cupcakes are a great medicine! These cupcakes look amazing!!! They sure made up for the average start to your day. I definitely don’t miss waking up that early to study or anything…=P Your cupcakes with marshmallow inside look so yummy! My son loves Rocky Road! omgeee you poor thing! What a day!! 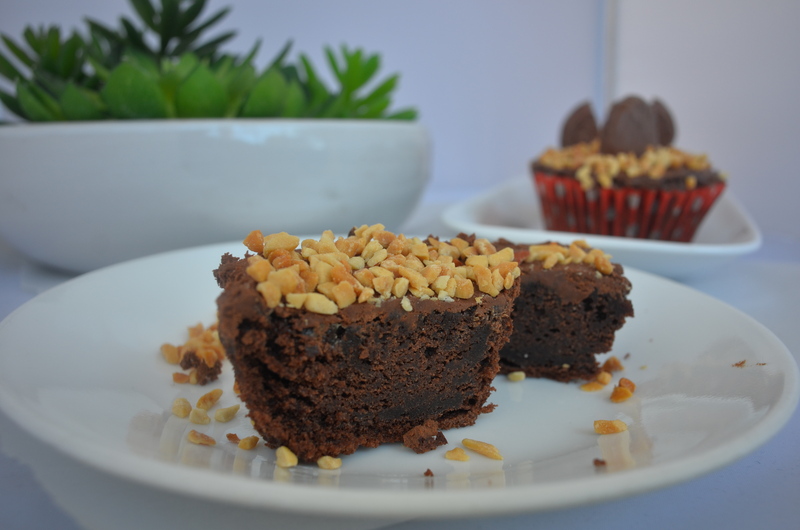 Thank goodness for these INCREDIBLE, perfect, amazinggggg rocky road cupcakes! love em! I read ‘A Room with a View’ for my english exams last year, it is definitely a thinker – but Secret Garden just makes me smile even thinking about it! This was hilarious, Uru! 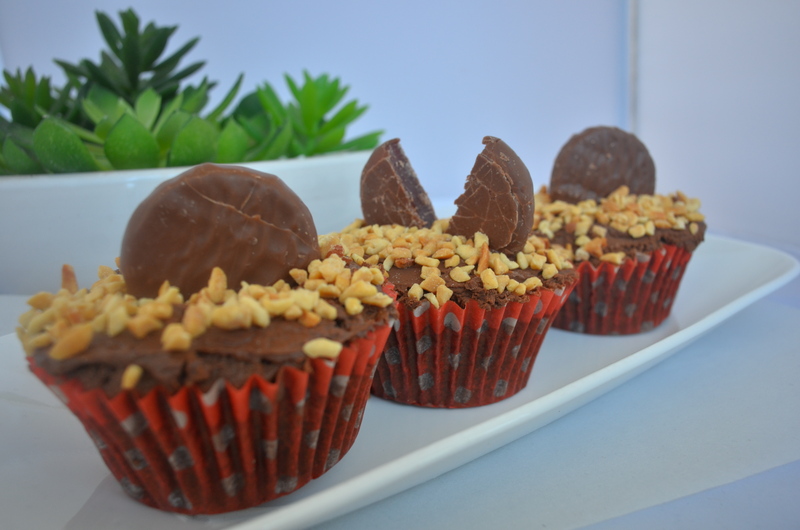 And what a great recipe – these cupcakes look so fudgy and chocolatey, yum 😀 Love it! Sometimes the best results come from chaos! 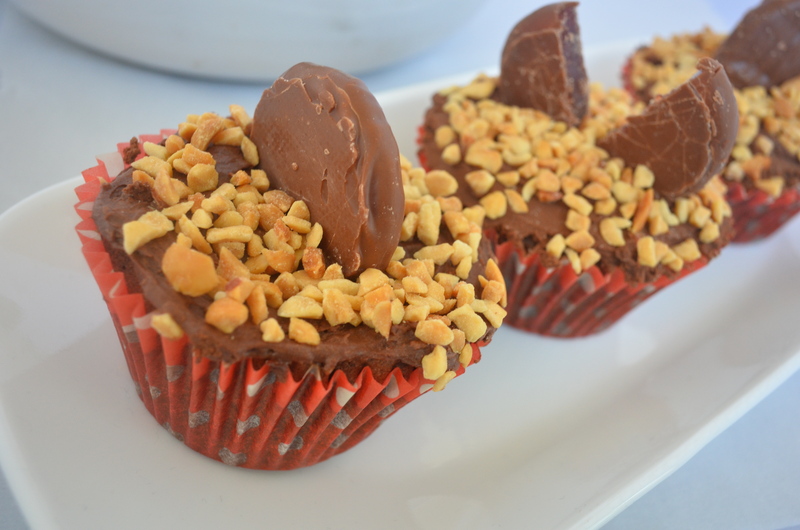 Your cupcakes are perfect and really love the crunchy peanuts too! I hear you on days like that! I had one last weekend. Those cupcakes would have made it all better though. I got the syrup too. It’s so good!! Gosh, you make me laugh… you are so funny. I love your very numerous description with the curry and the bathrobe. I have definitely had my share of curry stains. 🙂 I have also had one of those days… and the only thing that would get me out from under the covers would be… one of those gorgeous mud cupcakes! Ha! After all that, I’m so glad they turned out. They look terrific! Oh these chocolate cupcakes will save any bad day!! 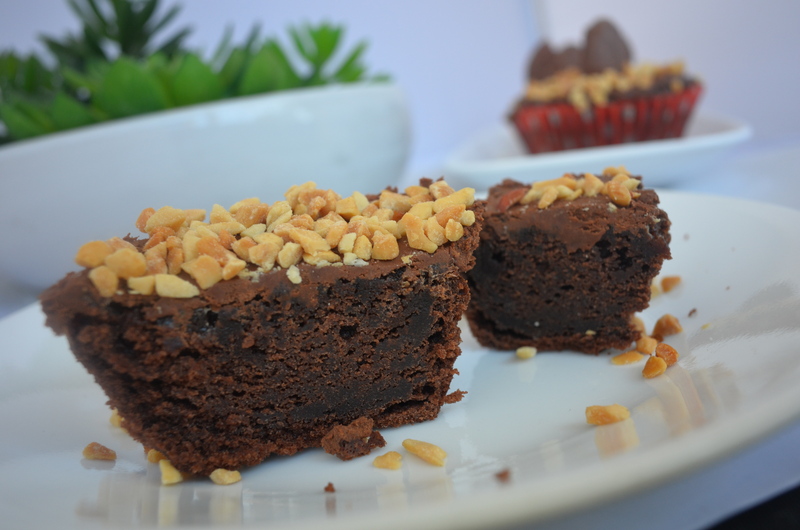 Love a moist and chocolatey cupcake with so much delicious goodnesss! Even if it was one of those days, the Turkish delight is sure to have made it better! Yum they look delicious!! Love the idea of putting marshmallows in the inside of the cupcakes 🙂 and Chocolate is always the best cure when your having one of ‘those days”! After a day like you’ve just described, you need all the chocolate you can get your hands on! These little cupcakes are really tempting! The cocoa syrup looks like a really good product. 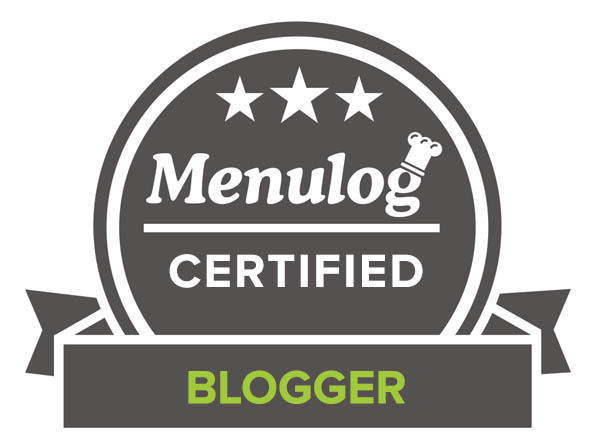 I use Stevia frequently, but not necessarily in my baking. Very interesting ingredient, CCU! Wow what a day! At least it ended well with these yummy cupcakes! haha I can’t stop laughing about those marshmallows! Been there, done that. mmm yummo! send one over? You have me crave chocolate for breakfast! These look decadent and irresistible! Now I’m really craving some chocolate!! These cupcakes look awesome! This is delicious Uru, Love it, I too crazy football fan. Going to miss Soccer . I loved the marshmallow explosion in the cupcakes but they ended up in a brilliant way. Very cute cupcakes, love using the peanuts as garnish! In spite of all the baking drama the results look amazing. How did I not know about those Turkish Delight chocolate patties? I feel so deprived in Ontario. OH MY GOSH I hate days like this, but I have to admit I sorta laughed reading this post. ONLY because I totally feel your pain. At least you got some delicious treats out of the day!! YUM! I hate waking up early but duty calls and can’t do anything much about it. The cakes; good to goodness and the cocoa syrup did a whole lot of justice into it. I’ve had that day. Most definitely. Cupcakes always make it better. Even if they don’t come out exactly the way you want. Oh heavens, these cupcakes look SO good. I would love one for a morning treat right now. =) And I’m all too familiar with “those days”! Hope you get to sleep in tomorrow. So sorry your day was less than perfect, however chocolate and/or chocolate cupcakes do make things a whole lot better Yours look fudgy and moist and delicious, a ray of sunshine! !